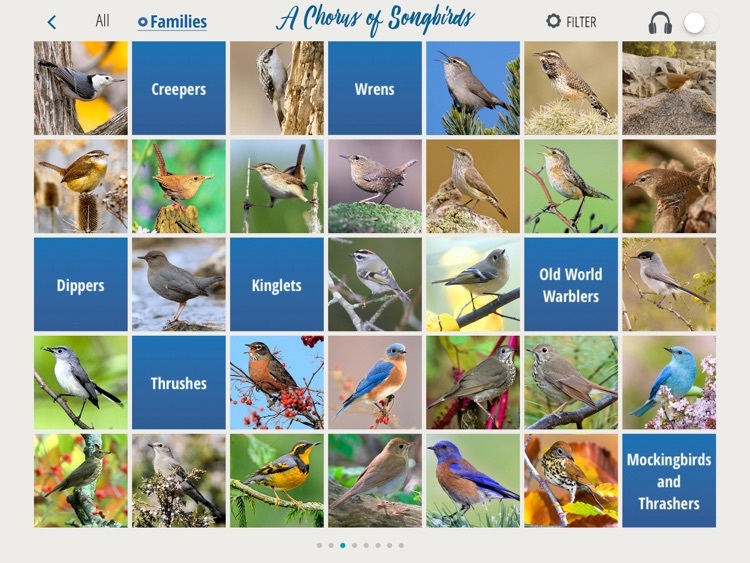 A Chorus of Songbirds by Vermont Institute of Natural Science Inc.
by Vermont Institute of Natural Science Inc. Spectacular, close-up images! 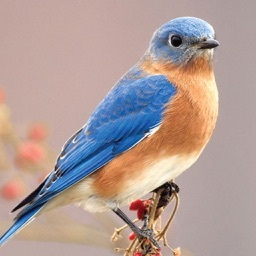 Captivating bird songs and calls! Fun, Interactive learning games! 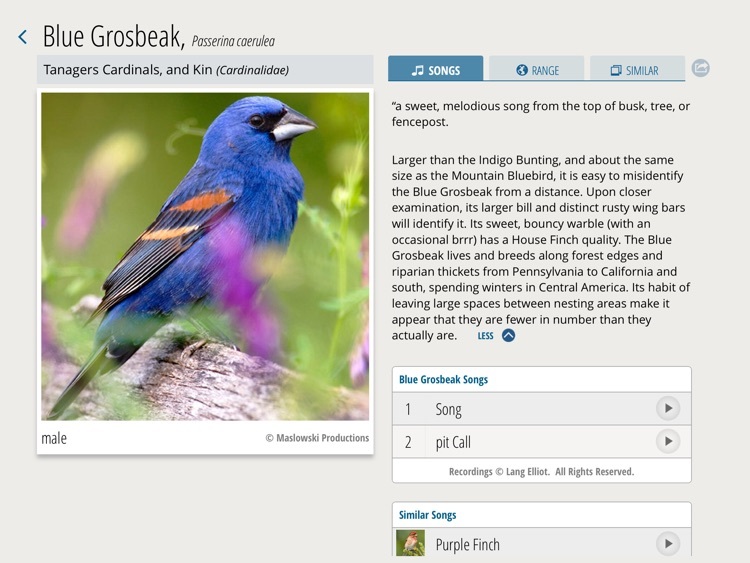 Sharpen your identification and voice-recognition skills with this remarkable app while enjoying the unique beauty and distinctive, melodious voices of 220 North American breeding songbirds. Designed for experienced and novice birders as well as anyone else interested in learning about the birds that you’re most likely to see in your yard, or the parks, woods, meadows and marshes you visit. 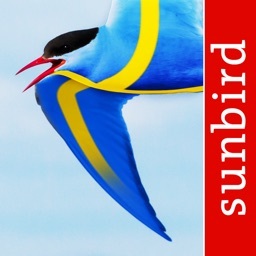 Navigate the app with complete ease through the Gallery of Birds featuring award-winning photographs, clearly-recorded bird songs and calls, up-to-date maps of each species’ summer and wintering ranges, and pop-ups of similar species or similar sounds. Not sure if that birdsong is a Yellow or a Chestnut-sided Warbler’s? A Hermit or a Wood Thrush’s? Use one of the filters that compares similar songs. 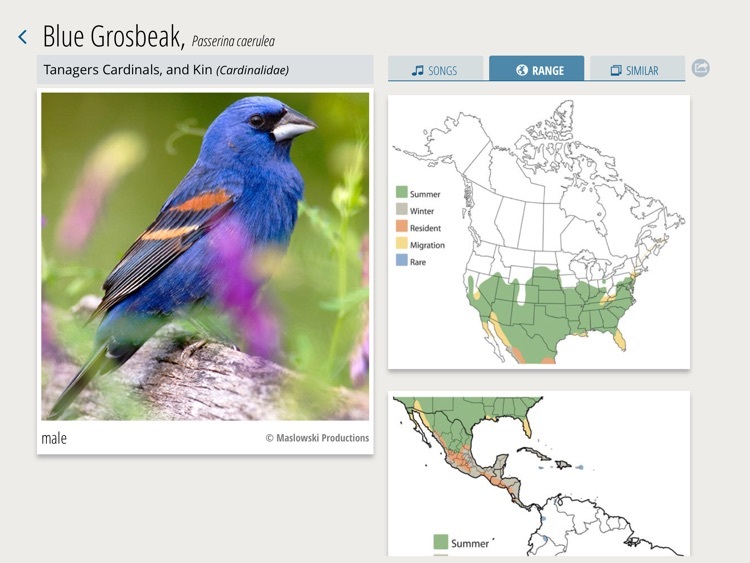 Unsure about the differences between a Purple Finch and a House Finch, an Eastern Bluebird and an Indigo Bunting? Sort out the birds by arranging by color (red or blue). Wonder whether that's a Song or a Lincoln's Sparrow? Sort by family. Is that a Carolina or a Black-capped Chickadee in your backyard? Check one of the 13 regions. 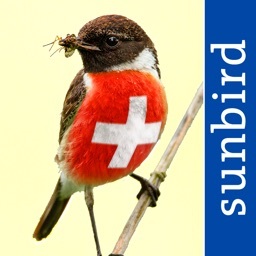 Switch to the Songbird Wizard and have fun while learning. 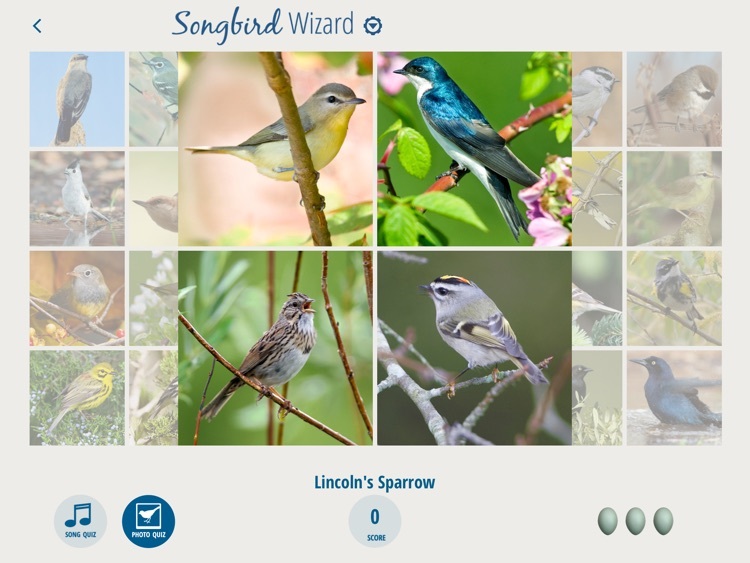 This interactive, learning game features a Photo Quiz and a Sound Quiz. 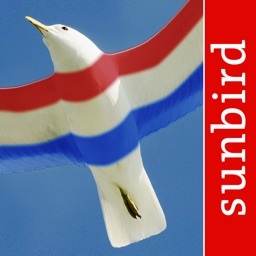 Tap a bird image on the main landing page and see the bird’s name and listen to its call or song. 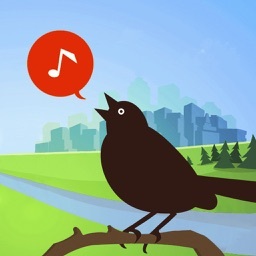 It’s an ideal way to master birdsong before you venture into the field. Or utilize outdoors to identify or confirm a sighting or song. Enjoy! Study! Learn! Utilize! You’ll be an expert in no time! And have fun doing it. 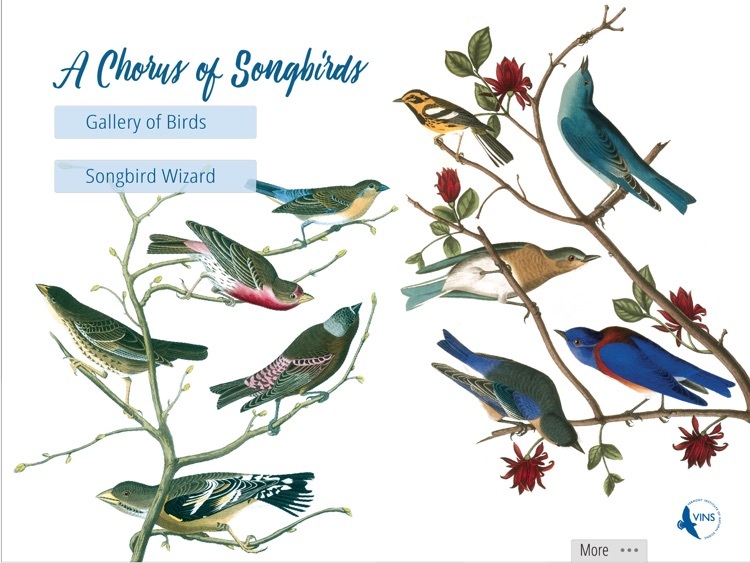 A Chorus of Songbirds is the perfect gift for yourself, for friends or family. The Vermont Institute of Natural Science (VINS) is a nonprofit, member-supported, environmental education, research and avian rehabilitation organization headquartered at the VINS Nature Center in Quechee, Vermont. Open year-round, the 47-acre campus, adjacent to Quechee State Park, features 17 state-of-the-art raptor enclosures, 4 exhibit spaces, 2 classrooms, and several miles of interpretive nature trails. VINS places a priority on making high-quality, compelling, and fun environmental education programs and learning opportunities accessible to more people and communities.